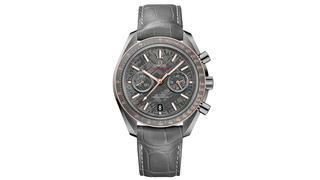 1 - Omega Speedmaster Grey Side of the Moon "Meteorite" Omega Speedmaster Grey Side of the Moon "Meteorite"
Whether you're a serious collector or a casual fine watch connoisseur, staying abreast of the latest developments in horology is a must for any stylish modern man. 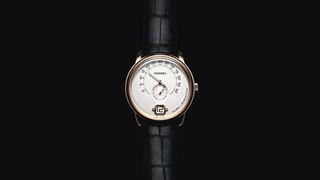 With Baselworld 2016 currently in full swing - and offering a dizzying array of new models set to become available this year - click through to see the best new timepieces worth setting your classic black tie watches and super-accurate chronometers aside for. Inspired by Omega's history of supplying watches for NASA's space explorers, for 2016 the brand presents a new model in its famous Speedmaster range featuring a dial made from a slice of real meteorite. 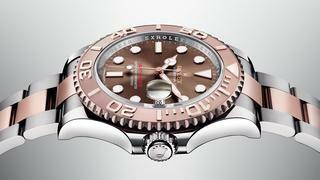 Not so much a new model as a reworking of an old favourite, for 2016 Rolex will be offering its classic Yacht-Master 40 in Everose Rolesor with a chocolate coloured dial. Rolesor is, of course, the combination of 18 karat gold and steel that makes so many of Rolex's watches iconic while Everose gold is a type of fine rose gold unique to the Rolex brand. 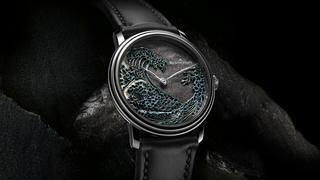 The latest in Blancpain's impressive line of Metiers d'Art watches features dark and brooding seascape created in Mexican silver obsidian and using a Japanese rokushō patina technique. The whimsical Charming Bird watch has become a signature of Jacquet Droz and for 2016 the brand has reinterpreted its Grande Seconde watch to offer the Charming Bird with a beautiful mother-of-pearl dial and a dainty avian figure which sings on command. 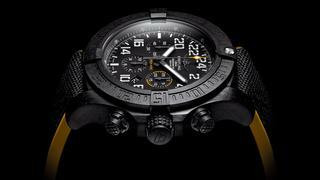 Measuring in at 50mm, this bold and ready-for-anything design inspired by naval aviation from Breitling hides technical expertise behind its rugged exterior. 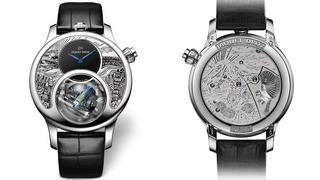 The most notable feature of this new watch is its Breitlight case. This patented material comes from the plastics family but is three times lighter than titanium and nearly six times harder than steel as well as being anti-magnetic, scratch resistant and anti-allergic. 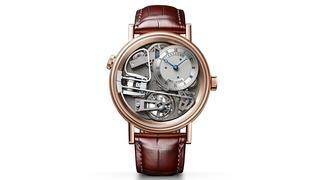 Combining a classic case with a futuristic skeleton dial and some seriously impressive research into the field of watch acoustics, the Breguet Tradition Répétition Minutes Tourbillon 7087 is the only minute repeater to be seen (or heard) with this year. One of the biggest stories to come out of Baselworld 2016 is the Monsieur de Chanel - Chanel's first ever men's watch. Having been in the women's watch market since 1987, this is a welcome addition to the brand's offering and the timepiece's retro-modern aesthetic is sure to be an instant hit with fans of the French fashion house.